Tropic King is living up to their title with this delicious tropical trio in their Mad Melon e-juice. If you want to be magically transported to a tropical island, this is as close as you are going to get. 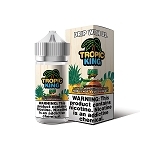 Mixing juicy watermelon, ripe cantaloupe, and sweet honeydew, Tropic King creates an all new flavor that is sweet and absolutely to die for. Specializing in tropical flavors, Tropic King is always on point with their delicious flavor mashups. Using only the best ingredients they can find they brew their juices in clean labs in Riverside, CA so you know you are always getting the best product possible. 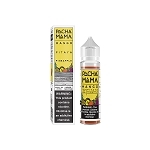 Mad Melon by Tropic King comes in 100mL bottles that will keep the tropical flavor flowing.